What type of Winter Training Program available in technical sectors? How to apply for these Internship Programs? 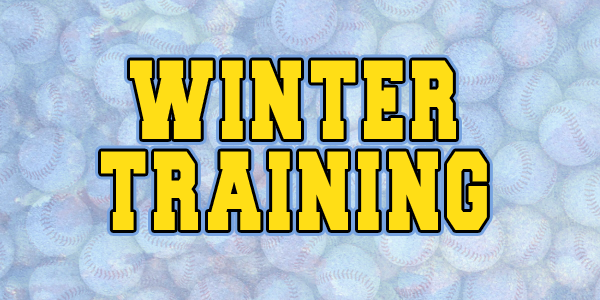 What roles these Winter Training Program play in Jobs and another era of future life? What types of Internship Programs Vision World Tech Pvt Ltd provides? So now straight to the Bulls Eye. What is Internship Programs or Winter Training Program? Ans-Winter Training Program are basically a set of Practical Classroom for students to understand their learning and real-world requirement. We can say Internship Programs are like a bridge for the students to understand the requirement of the Industrial Era. As per my experience, the learning in colleges the curriculums in colleges are more theoretical than practical. So these Internship Program helps students to understand the practical aspect of the learning. The above statement is true for Technical and Non-Technical aspects. What are the roles theseWinter Training Program play in Jobs and another era of future life? Ans – So as per the definition, we can say internship plays a very keen role in entering into the real world application systems. In today’s scenario, their are lots of colleges which provides Technical and Non-Technical Courses. So the number of colleges increase leads to increase in the number of students. As the number is increased the level of competition increases. So to be the part of these top list students we need some extra knowledge to fight this competitive scenario.Here come the Internship Programs which give students an extra appeal in their CV’s. But these internship programs not only help students but also the Industries by getting the Trained Man Power. So these internship programs help in both directions. What type ofWinter Training Program are available in technical sectors & How to apply? For Technical Sectors there are many different options available. But the students have to choose these internship Programs as per their Streams or better say Branches. Some of the companies hire the interns for Full Time and Some hiring for Part Time. Full-Time interns get some stipends also in big notch companies but this is not true for all companies some companies hire you for free also. In my opinion, don’t go for money goes for knowledge in these internship periods.So decide as per your aim and future plans. Private Companies are also providing INternship Programs for Engineers and Diploma Students. Vision World Tech provide , Industiral Automation, Embedded System, IOT based and Solar based Winter Training Program. Top notch companies, PSU’s have their own separate ways to take trainees. But Private companies take the students directly. If you take my opinion then I think you should take some demo classes in these Private companies and have some basic discussion with your senior and then choose the Training Centers. Students who get part-time working at the top-notch companies can join these private institutes for extra knowledge because ultimately the target is to get on the top student’s list. Vision World Tech Pvt Ltd provides training programs to technical students in the field of Electrical, Electronics, IT/CS and Civil/Mechanical. Our Training Program covers all the technologies which are used in the recent era. We provide training in the field of Industrial Automation, Embedded Systems, IOT, Solar Based Training Program etc. You can apply on our Winter Internship Programs by filling the below form.